Hello everyone, how are we doing? I hope everyone is having a great day so far. I was busy running around getting a few things done, get my neck fixed as it has caused me a lot of trouble. Anyhow, I want to share my current night time routine with all of you. I didn’t spend a lot of time composing this picture obviously but I just want to share these products with you all. I started using Lancome and SKII in my early 20s, say around 22, I used them on and off as I was trying some other products, but 90% of the time I will go back to what I used to use. My main concern at night is hydration. I want to wake up to supple and hydrated skin as I need to apply make up and go to work once that is done, I don’t have time to put on a mask before make up, this hydration is the key. I have been using this combo for winter 2015 and it has helped my skin to stay hydrated, as least it was not peeling off. I have been doing face mask frequently as well to maintain that hydration status. 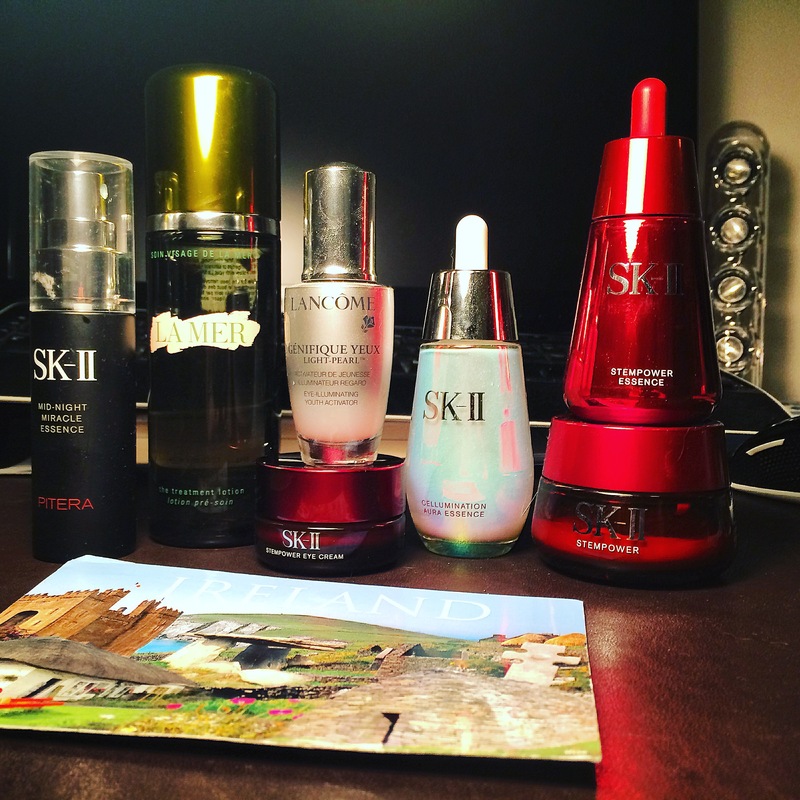 I have heard good things about SKII but I have never tried them. They work well for my skin. I do have friends who cannot use SKII because it just does not agree with their skin. Try to get some samples and try before buying.